Here is functional passing pattern that can be progressed in many different ways and turned into a shooting pattern as well. 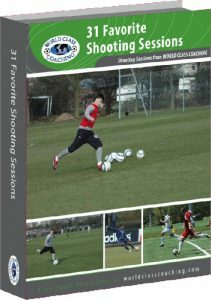 In the video clip below Tom Mura from World Class Coaching animates a drill that he utilizes in his training sessions. Coach Mura also discusses the various progressions that can be implemented in order to meet your team’s needs. World Class Coaching is a great resource for coaches click Here to see how they can help you be a better coach. At the bottom of this post I have included a link to a Free eBook that they are offering.